Today I am delighted to welcome the very lovely Norlin from the amazing blog Baubles, Bubbles & Bags. Norlin's fabulous page shares tips, on fashion, beauty and lifestyle for women with high end taste but a discerning budget. She believes that you can attain the style that you want without having to splurge and it's all about knowing your own personal style, taste and being smart with where and when you shop. It is also one of my very favourites, so thank you Norlin for popping by to be a guest blogger! 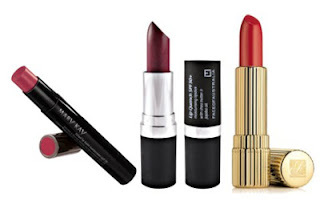 Ever wondered how long you should keep that favourite lipstick for? Or how long you can use that particular mascara before they start spreading those dreaded germs to your precious eyes and also, how often should you wash your make-up brushes and sponges? Whether you use that particular lipstick, foundation or mascara often or not, the thing is, like food and medication, make-up does have its own shelf life too. Lipsticks are pretty long lasting and can last up to 2 years. But, it also depends on how you store it. Like every other make-up, perfume and medication, keep it OUT OF SUNLIGHT and in a cool dry place. Despite it lasting up to 2 years, I would suggest throwing it out once it starts to taste a bit funny. You don’t want to risk any bacteria lingering on your lips and getting into your mouth. 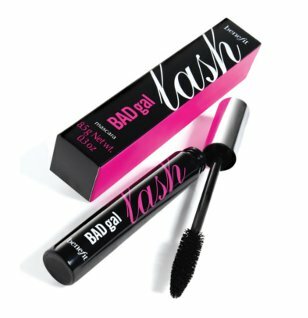 Because mascara is used around the eye area, and comes into contact with the bacteria in the air each time we use it, the longest you should keep yours is 6 months once it’s been opened. This is to reduce any potential bacteria that you might transfer onto your eyes and causing any unwanted complications. Liquid and oil based foundation should once again, be kept in a cool and dry area and only be kept for a maximum of 1 1/2 years. You will notice the difference once you push further than the 2 years. The formula would look different even from the naked eye rendering it useless to use on your face. Plus you don’t know what chemical reaction would have occurred after the use by date and you really don’t want to risk applying that to your skin, which might cause an unwanted reaction. Similar to foundations, the shelf life of concealers is around the 1 ½ to 2 year mark. But it also depends on what you use to apply it. If you’re using your fingers to apply to your face, I would suggest keeping that only for 6 to 8 months. If you apply using a brush, provided you wash your brushes weekly, then yes, it can last up to the 2 year mark. How often should we wash our make-up brushes & sponges? Personally, I wash my make-up sponge each time I’ve used them. 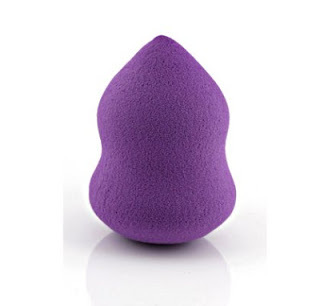 Imagine this, you’ve used the clean sponge to apply your foundation. Then use it again the next day, with yesterday’s remnants still on the sponge. 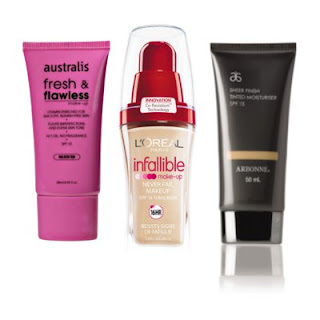 First, you’re re-applying yesterday’s used up foundation plus the new one onto your skin. Secondly, after apply the first time, you would already be collecting bacteria on the sponge that has left out in the open plus the ones collected from your skin while you were applying previously. So I would advise you to wash it each time you use it and then air dry it naturally. Wash it in warm, soapy water. You can either invest in a brush cleaning solution or use a really mild detergent. With brushes – and I’m talking about blusher and eyeshadow brushes – you would need to clean it weekly, once again with a mild detergent or a brush cleaning solution. For foundation brushes, I would suggest doing the same with what you would a make-up sponge. After washing your brush, simply leave it to dry on a dry towel. Another way to protect and dry your brushes quickly would be to invest in these brush guards, at only $7.95 for a pack of 4. The brush guards not only cut your drying time in half but keep them in shape. Good brushes can last years, whilst sponges are best only kept for 6 to 8 months as they do disintegrate and tend to collect bacteria a lot more. If you were wondering what sort of items you should have as part of your basic make-up kit, be sure to check out the post I did previously outlining the very basics right down the the full kit. Thank you again Norlin for the wonderful piece, you have definitely encouraged me to have a bit of a cull and clean up of my make up supplies this Spring!